Chinese industrial output rebounded in August after months of decline. Analysts said strong export growth could explain some of the 15.9% year-on-year rise. But the data suggests state measures to cool off China’s economy are becoming less effective, fueling speculation that Beijing will raise interest rates. China’s central bank has said it will examine August indicators closely before deciding on a rate hike. Other figures released in August showed further evidence of China’s increasing reliance on the private sector to spur economic growth. The government-backed All-China Federation of Industry and Commerce said the number of private Chinese companies with 2003 revenue of $14.5 million or more grew 43% from the previous year. Turnover at the 500 largest private companies grew 53% year on year in 2003, compared with 26% annual growth achieved by the 500 largest companies overall (data specifically on state-owned companies were not available). Data on non-state Internet activity might soon become highly available, however. Shanghai authorities have required all Internet cafes to install new monitoring technology by the end of the year. The hardware and software will require all Internet users to register their names and identification numbers before going online so their activity can be recorded. The new rules will also cut off electricity to Internet cafes at midnight to enforce an existing ban on late-night operations. The restrictions will no doubt delight business leaders in rival city Hangzhou, which has just been named the best business location in China by the Chinese edition of Forbes magazine. 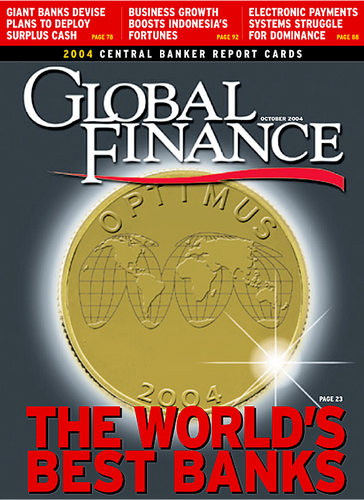 Based on formulas used by the US edition of the magazine, the ranking takes into account market size, percentage of the workforce with a college degree, costs of doing business, transportation infrastructure and success in attracting new investment. A city of 6 million situated about one hour by train from Shanghai, Hangzhou has attracted investment from such foreign companies as United Technologies’ Otis Elevator, Siemens, Motorola and Mary Kay. It might also attract after-hours Internet users now.